Features: Small design Slimmer and More Lightweight S2 Sports Digital Tuner Weather/FM/AM Stereo Arm Band Radio - Lets you listen up-to-the-minute weather from your local Weather Band broadcasts. Single AAA Battery Operation - Provides hours of listening, and helps to make the Walkman unit compact and inexpensive to use. Convenient LCD Display - Angle and Easy-to-Use Up/Down Controls for Preset Tuning is designed for information to be easily read at a glance while on the run. 25 Station Preset Memory - Uses electronic settings for easy one-button tuning for your choice of audio from 5 weather bands, 10 FM and 5 AM radio stations. Supplied accessories - Armband and Belt Clip, Ideal for Sports. 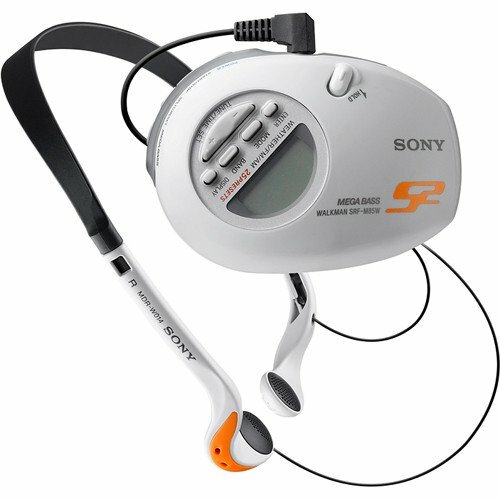 Lets you wear your Walkman player on your arm during activities, keeping your hands free. Stop Watch, Split & Pitch Timer - With split timer lets you record split times with the press of a button and makes your Walkman player a valuable companion when jogging, sailing, or for any activity where timing is important. Mega Bass Sound System - Produces rich, deep bass tones for more powerful overall sound. Sports Headphones Supplied - Sony MDR (Micro Dynamic Receiver) vertical type for wide dynamic range and excellent sound. 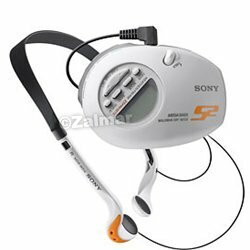 This lightweight and sleek SRF-M85W S2 Sports Walkman digital stereo armband radio is just what you need to add a serious soundtrack to your exercise routine. The convenient LED display is positioned at the perfect angle for easy glancing during rigorous activity. And featuring an innovative stop watch that lets you record split times, it makes a perfect companion while jogging or competing in any activity where time is a factor. Youll also enjoy the Mega Bass Sound System that pumps thrilling sound to the vertical-type sports headphones. 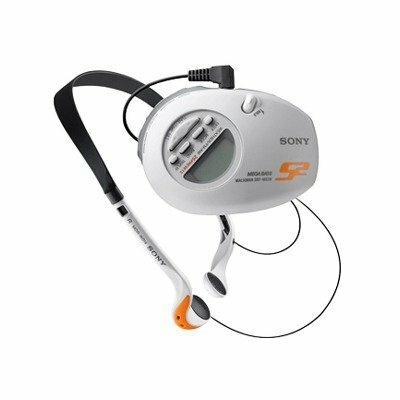 Features: Slimmer and More Lightweight S2 Sports® Digital Tuner Water Resistant* for sports use Weather/FM/AM Stereo Arm Band Radio Convenient LED Display Angle & Easy-to-Use Up/Down Controls for Preset Tuning 25 Station Preset Memory (15FM/5AM/5WB) Supplied Armband and Belt Clip, Ideal for Sports Stop Watch, Split & Pitch Timer Mega Bass® Sound System Sports Headphones and Armband Supplied Requires one "AAA" Battery (not included) *not to be immersed or come in continuous contact with water. 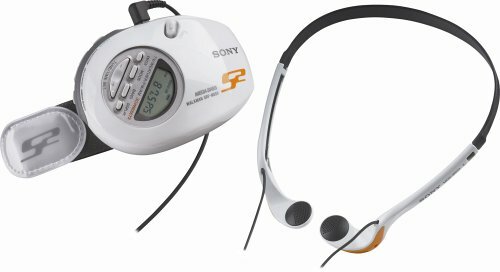 Compare prices on S2 Sports Walkman Armband Radio at Shopsimal.com – use promo codes and coupons for best offers and deals. We work hard to get you amazing deals and collect all avail hot offers online and represent it in one place for the customers. Now our visitors can leverage benefits of big brands and heavy discounts available for that day and for famous brands.